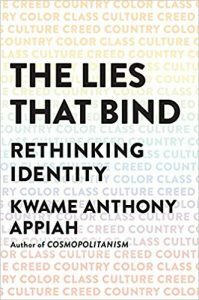 An extract from Kwame Anthony Appiah's new book 'The Lies That Bind: Rethinking Identity'. Cultural practices and objects are mobile; they like to spread. But the arguments over cultural appropriation have become notoriously twisty, and people of colour aren’t exempt from the charge. The Asian-American actress and rap artist Awkwafina has faced accusations of cultural appropriation for, essentially, “talking black” in her role as the heroine’s brassy sidekick in the new film Crazy Rich Asians. In the other direction, various black rap artists have been accused of cultural appropriation for borrowing markers of Asian culture: Samurai regalia, kimonos, geisha fans. It is tempting to dismiss such complaints because so many of them seem exaggerated or wrongheaded. But it’s important to make distinctions in these cases: Sometimes cultural hackles are raised for good reason. Why doesn’t cultural appropriation define the offense? For one thing, the fluidity of power can make it tricky to establish who’s got the upper hand. How should we assess the power dynamic when black American performers help themselves to sartorial signage from Japan, one of the richest nations on the planet? Consider, for that matter, how eager India’s ruling elite has been to assert yoga as a national possession. Prime Minister Narendra Modi established a separate ministry to develop and propagate yoga and other traditional health-related practices. “There is little doubt about yoga being an Indian art form,” the yoga minister has said. Baba Ramdev, a hugely popular guru who has helped bring Mr. Modi’s Hindu-nationalist party to power, records videos of yoga poses and movements that are watched by millions. Baba Ramdev does a terrific downward-facing-dog– he says it triggers hair growth – but in India, Hindu nationalists like him are the top dogs. Swami Ramdev himself controls a multibillion-dollar corporation. So try explaining to a low-caste Dalit or a Muslim in the subcontinent that the people they consider their overlords are really an oppressed, marginalised and subordinated group. “One person’s centre is another’s periphery,” as the scholar of Hinduism Wendy Doniger has observed. Which brings up the larger issue of boundaries. All cultural practices and objects are mobile; they like to spread, and they are themselves usually products of intermixture. Kente cloth, a famed product of the Asante region of southern Ghana, was originally made with dyed silk thread imported from Asia. My Asante forebears took something produced by others and made it their own. Or rather, weavers in an Asante village named Bonwire did. Today’s putative cultural owners may be a previous era’s cultural appropriators. The real problem is that ownership is the wrong model. The arts flourished in the world’s traditional cultures without being conceptualised as “intellectual property”, and the traditional products and practices of a group – its songs and stories, even its secrets – are not made more useful by being tethered to their supposed origins. But vigorous corporate lobbying has helped the idea of intellectual property to conquer the world. To accept the notion of cultural appropriation is ultimately to buy into a regime where corporate entities, acting as cultural guardians, “own” a treasury of intellectual property and extract a toll when others make use of it. Still, the charge of cultural appropriation does sometimes point to a real offense. Typically, this involves forms of disrespect, which can indeed have to do with inequalities of power. If you’re a Sioux, you recognise that your people are being ridiculed when some fraternity boys don a parody of the headdress of your ancestors and make whooping noises. But disrespect isn’t best met with a charge of theft. Suppose Kanye West made a music video in which he used the Kaddish, the Jewish prayer for the dead, to mourn a Maserati he’d totalled. Here, again, the offense wouldn’t be appropriation; it would be the insult of trivialising something another group holds sacred. And when an American pop star makes a mint from riffing on Mbaqanga music from South Africa, you can wonder if the rich American gave the much poorer Africans who taught it to him their fair share of the proceeds. If he didn’t, the problem is not cultural theft but exploitation. People who parse such transgressions in terms of ownership have accepted a commercial system that is alien to the traditions they aim to protect. In reality, what most people know today as yoga – postures, breathing exercises – has little precedent in premodern sources. You’ll search the ancient Yoga Sutras in vain for the downward-facing dog or the other famous poses. The story of their origins is, in part, the story of Western physical-culture manuals devoted to calisthenics and gymnastics. In fact, the scholar Mark Singleton has detailed specific similarities between yoga and a Danish gymnastics system that was taken up in the early years of the 20th century by the British and others. To think that the hybrid origins of modern yoga render it inauthentic is to miss the point of this scholarship. “There is no ‘legitimate,’ ‘authentic,’ ‘orthodox,’ or original tradition,” as Prof. Jain explains, “only contextualised ideas and practices organised around the term yoga” – a term that has had no fixed meaning over the centuries. Well-meaning Westerners can thus find themselves colluding with right-wing Hindu nationalists who are intent on claiming ownership over complex, dynamic and adaptive practices. A little wokeness is a dangerous thing. Disrespect and exploitation are worthy targets of our disapproval, but the idea of cultural appropriation is ripe for the wastebasket. Even when it’s applied to a real problem, the diagnosis only invites confusion. The harder task will be to give up the ideology of cultural ownership, to resist the temptation to cast every practice as a piece of intellectual property and every affront as a property crime. The rhetoric of ownership is alluring and potent, but when we’re describing the quicksilver complexities of culture, it just isn’t appropriate. 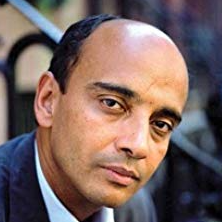 Kwame Anthony Appiah is a professor of philosophy and law at New York University. This extract was first published on The Wall Street Journal and has been republished here with the author’s permission. Read the original here.